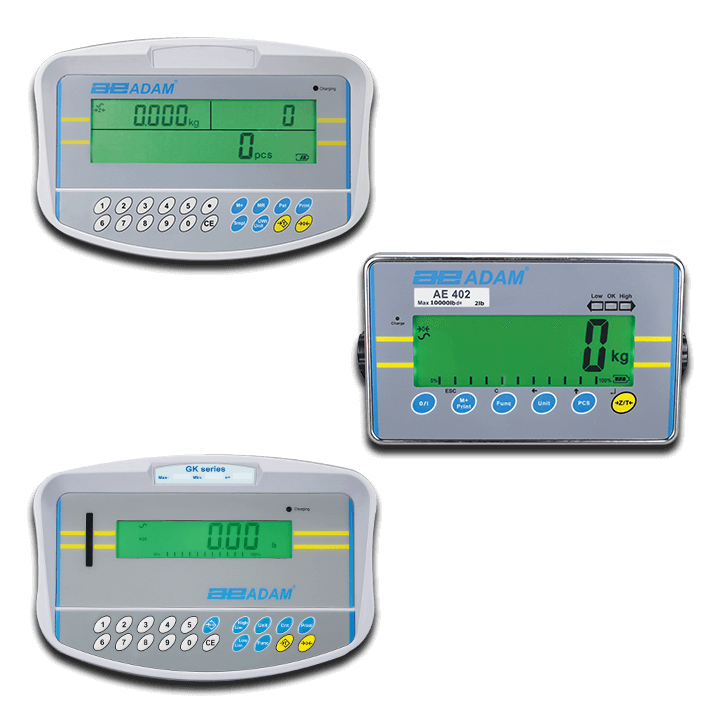 Adam Equipment indicators can be configured with a number of platform scales, allowing users to combine the features, functions, readability and capacity to suit their needs. Our indicators provide a wide range of weighing modes including checkweighing, parts counting and accumulation that effectively streamline warehouse weighing and stock counting tasks. Some of our indicators come with NMI trade approvals checkweighing the weight of goods to be bought or sold by weight; other features include large displays, numeric keypads, and coloured LEDs. The AE402 weighing scale indicator handles demanding industrial tasks.